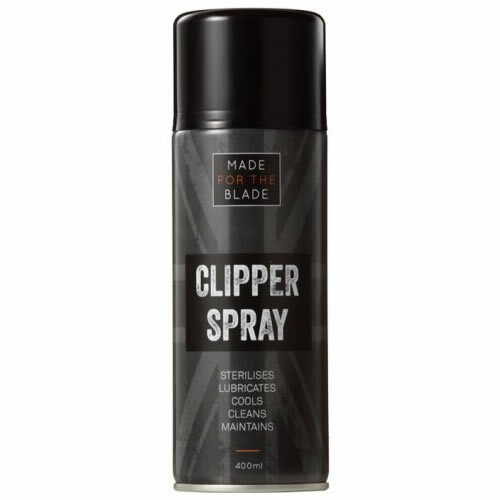 Fantastic 5 in 1 spray that provides ultimate care for clippers! The Made For Blade Clipper Spray gets to work on 5 tasks from the moment you spray it! It sterilises, lubricates, cools, cleans and maintains blades to help extend their cutting life. It effectively kills bacteria, reduces friction and cools the teeth and blades to create a better customer experience. It also blows away hair and dirt to keep teeth clear and working effectively. Add 3 to your basket and pay for only 2, slashing the average price per can to £3.97!! Easy-on, easy-off hair grippers made from soft-grip velcro to keep hair under complete control. Long lasting and easy to clean. Supplied in packs of 4 in 2 colours: Black or Red. Explosive and cooling post shave mousse made with cooling menthol and soothing lotus blossom extract to seal and protect the skin. Available in a 150-ml can.